Volunteers at the Paul Hall Community Service Center pass out bags of groceries to people in need. 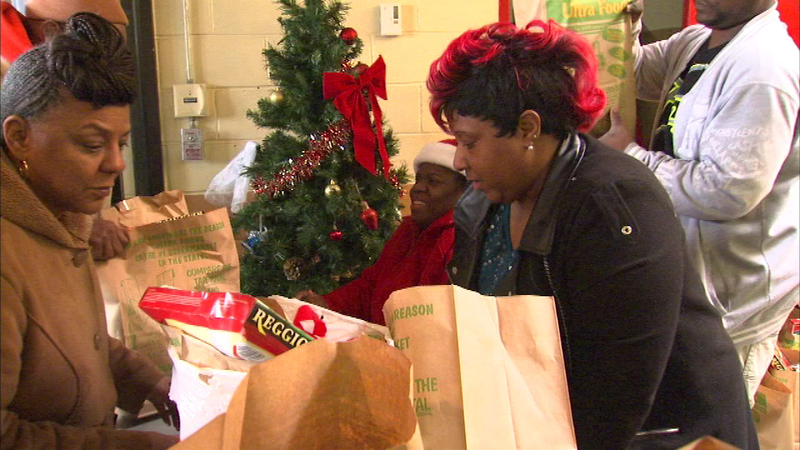 CHICAGO (WLS) -- Some less fortunate families in the Chicago area are getting much needed holiday meals. Families formed long lines at the Paul Hall Community Service Center on the city's south side. The center also gave away thousands of coats and even some toys to those in need. The food drive was the center's 52nd, making it 0one of the longest-running in the city. In Gary, Ind., Outreach Ministry held its 21st annual Feeding the Hungry event. Along with a free hot meal, people there also received free hats, coats and gloves.